“I actually wouldn’t be alive if it weren’t for Sun Valley,” Matt Wainhouse says as we pack our boards into the bed of his truck in Skykomish, WA. Matt, Justin Norman and I are Idaho bound, headed to the Gem State’s Sun Valley, a town with a glorious snow-sliding history. 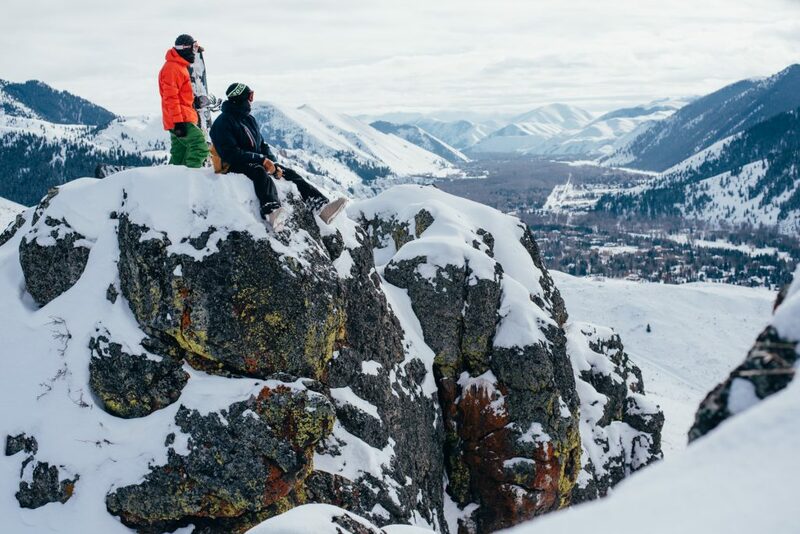 Home to the world’s first chairlifts in 1936 and soon after dubbed “America’s First Destination Ski Resort,” Sun Valley has attracted a vibrant mix of celebrity skiers, seasoned shredders and weekend warriors for over eight decades. The area is also ground zero in Wainhouse family history, because two of the skiers it brought together became Matt’s parents. They met on the Seattle Ridge chairlift in 1983. Matt’s dad, Wilf, spotted his bride-to-be, Diane, about to load onto the lift ahead next to an empty seat. Without hesitation, Wilf ditched his friends to sit alongside Diane. They hit it off and the rest is history. “Are they still married?” I ask. “Yup,” says Matt. 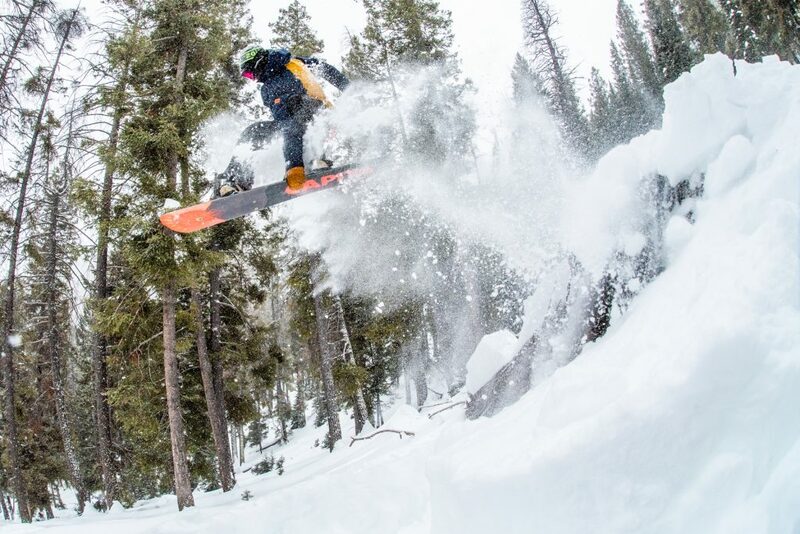 ABOVE Matt Wainhouse pokes out a method underneath Sun Valley’s Roundhouse Express gondola. ABOVE This tree was visible from a chairlift, yet untouched and even better than we expected it might be. Justin Norman flipped off it on his third hit. ABOVE If you look closely, you can see a big ole grin on Waino’s face (click photo to enlarge). 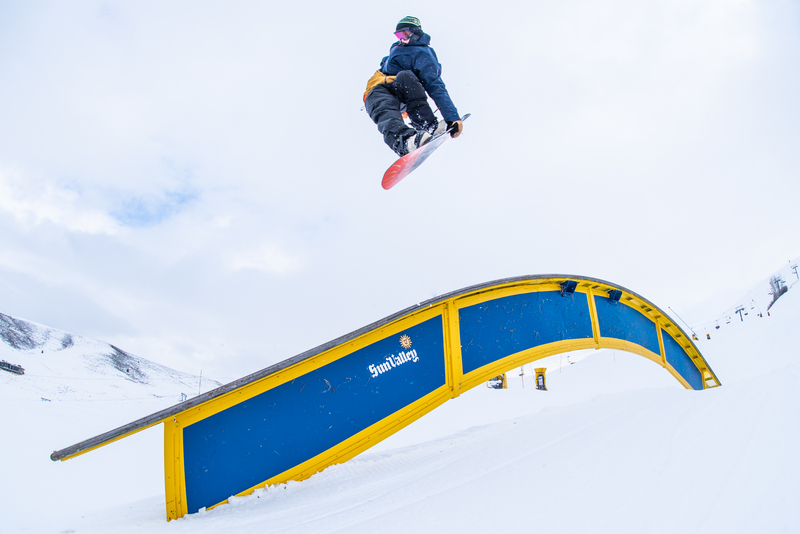 After a 10-and-a-half-hour drive and a quick sleep at the Sun Valley Lodge Apartments, our crew makes an early start to the resort’s Bald Mountain. We ascend the slopes via gondola. It’s a wind-blocking treat that the three of us aren’t very accustomed to. We hop out of the box and directly onto another lift, unload and beeline straight towards another: the Seattle Ridge chairlift. The groomers are hard-packed, fast. Visibility is subpar and a storm is rolling in as we ride. Carving through the cloudy abyss I can’t help but wonder who we’ll find at the base of the chairlift. Are we about to meet Matt’s future wife? ABOVE Better visibility and soft snow in the trees. There’s also loads of fun spots to build jumps. ABOVE Following a quick patdown, Waino gets down on a midweek tweak. ABOVE Justin, tuck knee backflip. We pull up to the loading zone and the only person there is the lifty, the line is nonexistent. “Maybe she’ll be at the top,” I think. She isn’t. Truthfully, we wouldn’t run into many other folks on the mountain during this midweek day. 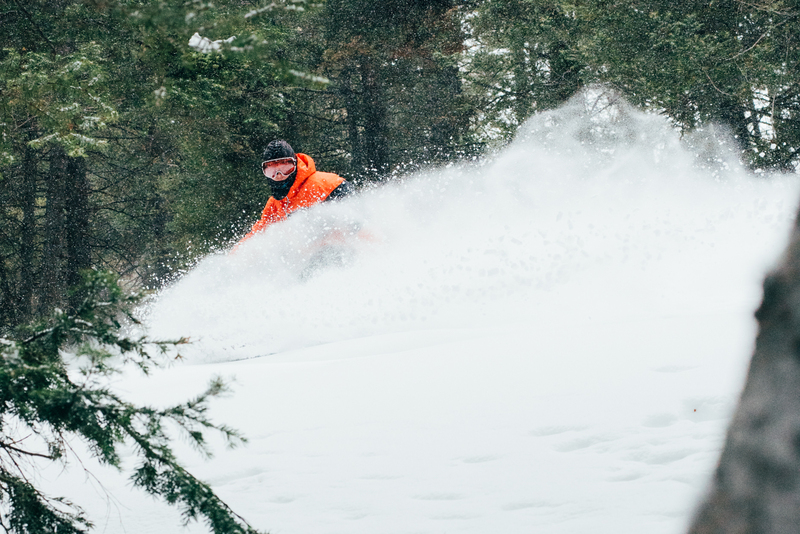 Low visibility prompts us to veer from the groomers into the trees, where we discover there are still deep turns to be made. 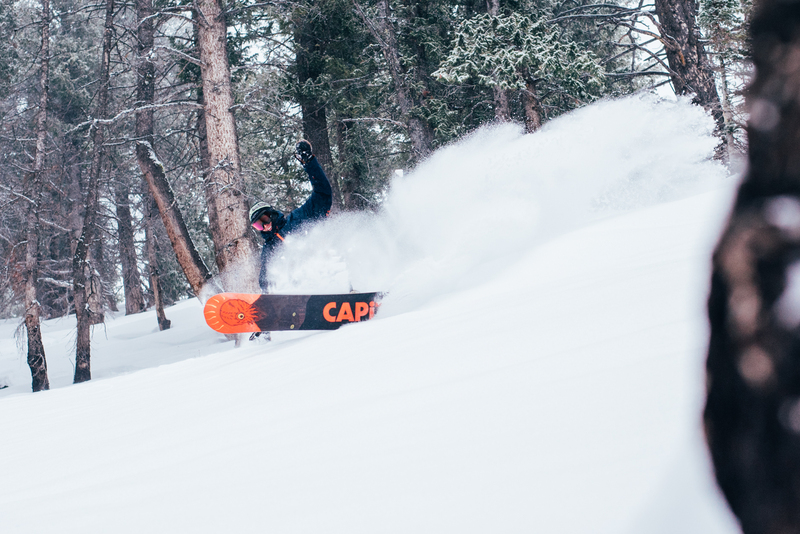 While the women-of-our-dreams may not be hiding in the glades, our other true love is: powder, and plenty of it. 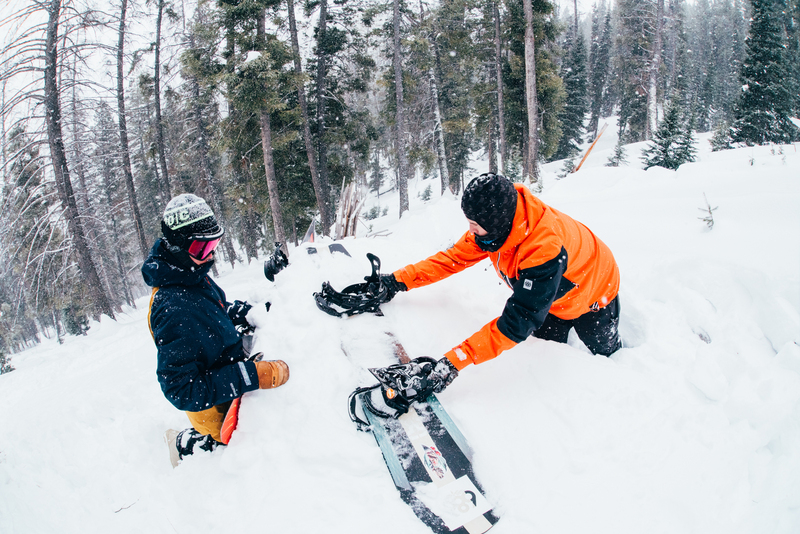 Consistently cold temperatures gracing Sun Valley before our arrival have kept the stashes soft, and we spend the next few hours poking our way through trees off the Seattle Ridge lift, finding logs to jib, snow to slash, stumps to jump. 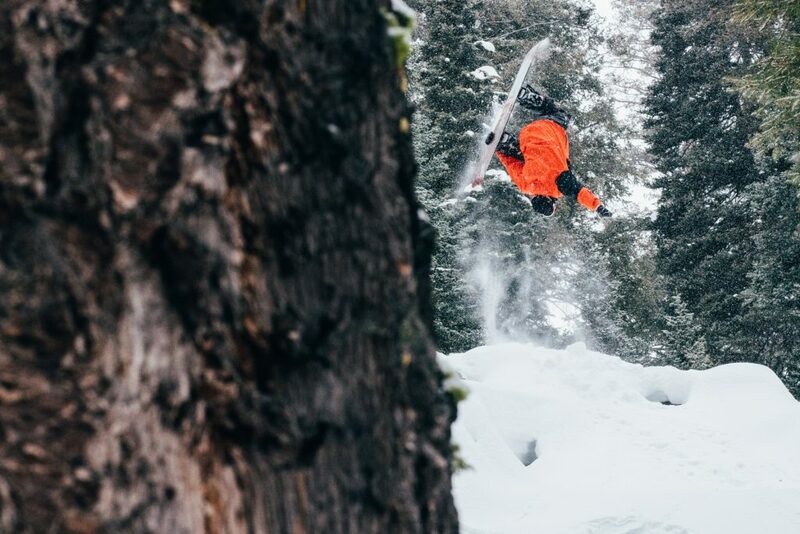 Some pockets of powder feel bottomless, while others hold rocky surprises—one of which proves rather unforgiving on Justin’s heelside edge. ABOVE Justin lovin’ that light, dry powder. He blew out his heelside edge on some sharp shale rocks, but took the setback like a champ and didn’t let it ruin his day. ABOVE It snowed nearly the entire time we were in Sun Valley, but there was a brief break in the storm. 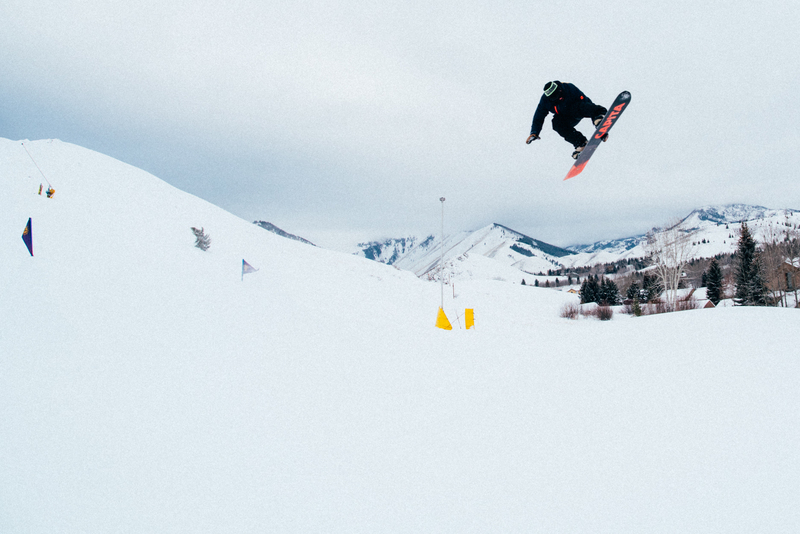 We rushed from Bald Mountain to Sun Valley Resort’s smaller peak, Dollar Mountain, to soak in the views from the top. 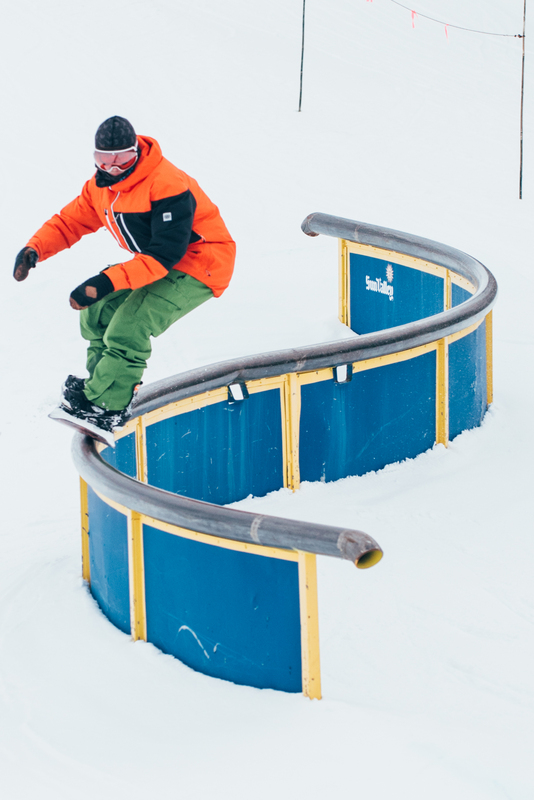 Then we stayed to ride its terrain parks. 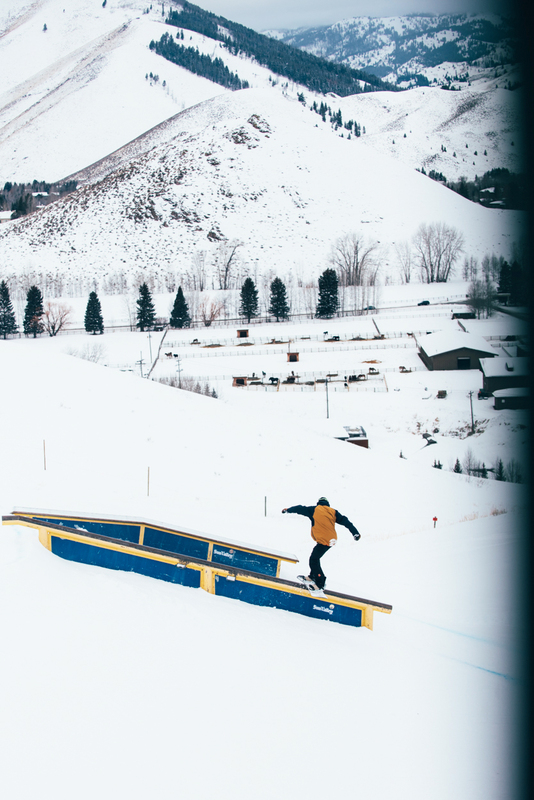 ABOVE While there are a few smaller parks on Bald Mountain, if you’re trying to lap rails and jumps at Sun Valley then Dollar Mountain is the place to be. 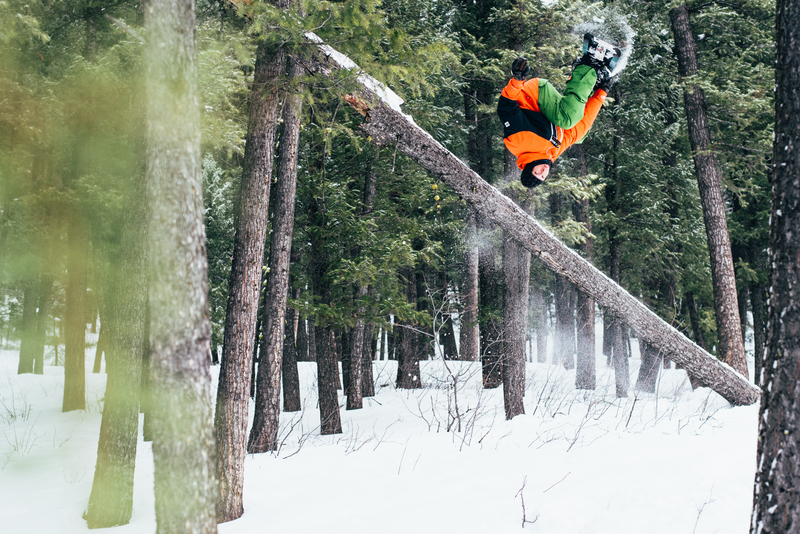 Matt Wainhouse, 360 stale over the third of a finely dialed three-jump-line. Aside from Justin’s broken board we get through the day relatively unscathed, and as we make our way to Bald Mountain’s adjacent peak, Dollar Mountain, we trip out on the fact that we’ve spent most of our time shredding an area that amounts to less than five percent of the rideable terrain here. Finding as many fun hits as we did in a single day makes us realize the limitless potential of a full season. That realization is quickly followed by another: we’ve got to come back, soon. Who knows, maybe we’ll find lifelong partners the next time we’re here. If not, we’ll just have to spend time with our other true love, forecasted to arrive in great abundance this February. ABOVE Justin, 5050 360 out (left) and Waino, frontside boardslide (right) as seen from the Half Dollar chairlift. ABOVE A bit of blue sky and Waino off the rainbow. ABOVE Justin and Waino at the world famous Sun Valley Lodge. We discovered that the hot tub there really lives up to the hype. 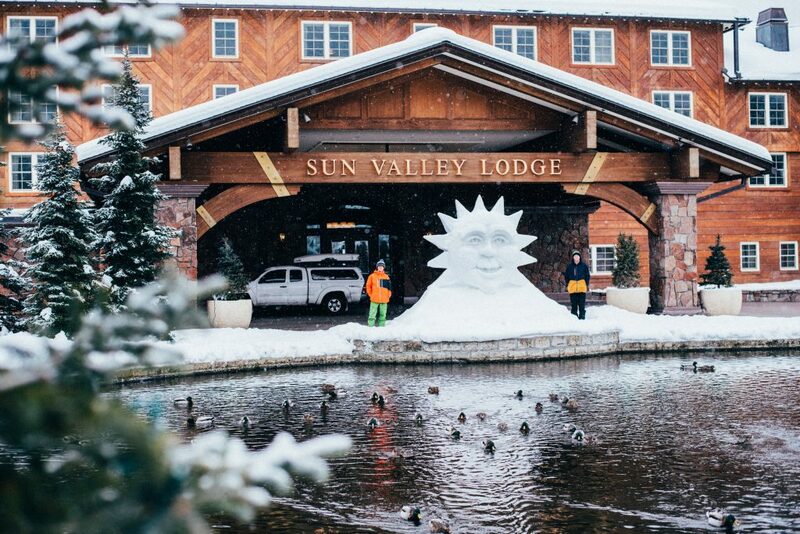 Huge thanks to Kelli Lusk and the rest of the crew at Sun Valley for having us. 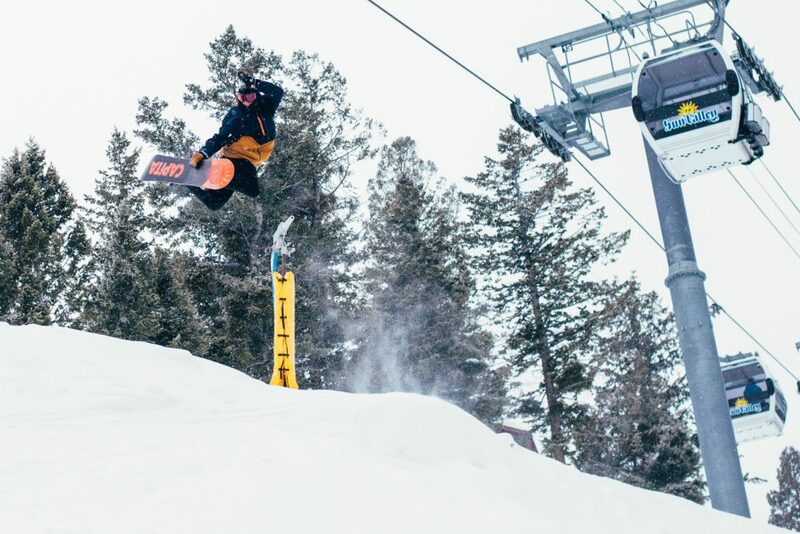 Special thanks also to Tony Harrison & Ski Idaho for helping facilitate the trip and to the Sun Valley Lodge for giving us stinky snowboarders a very comfortable, slope-side abode to lay our heads.